If you’re erasing sensitive files from a computer, you probably want them gone forever and far beyond the reach of data recovery tools. Unfortunately, that’s not what happens all of the time. Here are some simple steps you can take to make sure your files are deleted permanently. When you hit delete on a file, in most cases, those 1s and 0s aren’t actually erased. The operating system just marks the space they’re taking up as free for new stuff, so until something new shows up, that data can often be recovered. What third-party eraser tools do is wipe over your sensitive files with random data, so not even the best recovery utility on the planet can bring them back. It’s a bit like scribbling over a handwritten note with thick black marker pen. Or at least that’s true for traditional hard drives. Modern solid-state drives (SSDs), and the flash memory in mobile phones, don’t work in the same way. That’s primarily because applications don’t have the same control over where data is written and overwritten. If you’ve got an SSD fitted, deleted files are harder to recover once they’ve gone beyond the Recycle Bin or Trash anyway (see the end of this note from Apple). On top of that, the safest option for ensuring they’re gone forever is to keep your drive encrypted. With those caveats in mind, read on. If you want a file on Windows to be immediately trashed without a visit to the Recycle Bin first, it’s easily done. Just hold down Shift as you tap Delete in File Explorer. 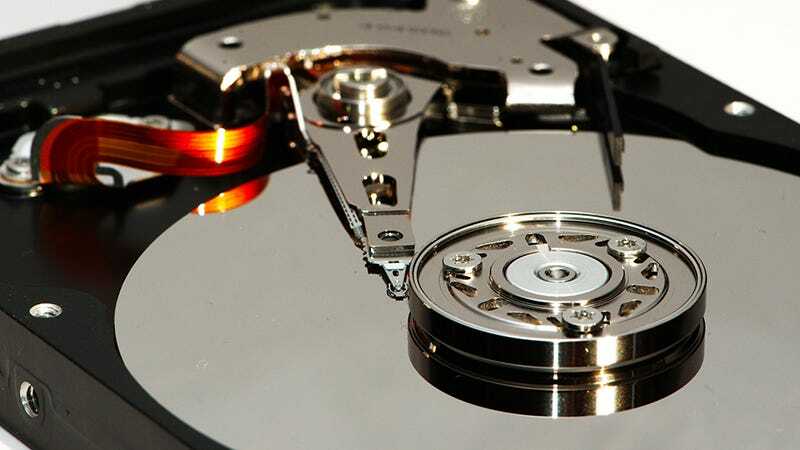 The file could still be recovered by someone smart enough to install a professional data recovery tool though, so on a traditional, mechanical hard drive you’ll need a more comprehensive tool to make sure the 1s and 0s have been well and truly wiped. Eraser is a simple but effective tool that’s been around a long time on Windows. Point it towards a file or folder and it overwrites it with random data that should be enough to stop it from ever coming back. There’s a scheduler tool too that you can use to wipe certain sections of your hard drive regularly. If you want to, you can add the program to the right-click menu in File Explorer, giving you even easier access to it. Blank and Secure is a very similar, lightweight tool that perhaps has a more friendly user interface and is portable as well, so you can run it from a USB drive if you need to. Once you’ve launched the executable, just drag and drop the files you want to get rid of into the Blank and Secure window. You can set a few basic options before deleting, and the utility can automatically shut down your PC afterwards if it’s going to be a lengthy job. CCleaner is a perennial Field Guide favorite and has a disk wiper tool built into it in addition to all the other clean-up jobs it does—though you’ll need to stump up for the premium version (a free trial is available). If you do have a solid-state drive, then encryption is probably a better option. BitLocker is available in the Pro versions of Windows 10, or you can use a third-party solution like VeraCrypt. You might also find the SSD manufacturer has provided utilities for encrypting and securely erasing the disk as a whole. Like Windows, macOS has a keyboard shortcut you can use to tell files to skip the Trash on their way to the digital graveyard: Option+Cmd+Delete. Alternatively hold down Option as you open the File menu and you’ll see a Delete immediately entry. As you’ve no doubt noticed, Macs have been moving towards SSDs for some years now, and that means conventional secure erase techniques don’t really apply. Instead, you should switch on FileVault, which will make deleted files very difficult to recover once they’ve gone from the Trash. Head to the Security & Privacy section of System Preferences and open up the FileVault tab to make sure it’s switched on. The flip side is that even you will struggle to get your data back if you forget your system password or recovery key—but you’re not going to do that, are you? There were secure erase options in Mac OS versions of years gone by, but they’ve all been abandoned in Sierra. While you will find ‘secure erase’ tools in the Mac App Store, they’re going to be largely ineffective for files stored on SSDs, and may even reduce the life of the drive with their persistent overwriting. Of course a standard mechanical external drive is different—by all means use a tool like FileShredder or Shredo.